Author(s) Goldstein, Marc; Schlegel, Peter N.
For many years, the focus of fertility research and treatment has been the female. In reality, at least half of all infertility cases have a male factor as a major or contributing cause. Recent advances in the diagnosis and treatment of male infertility have enabled pregnancies in cases where the male partner was previously considered to be untreatable or even sterile. 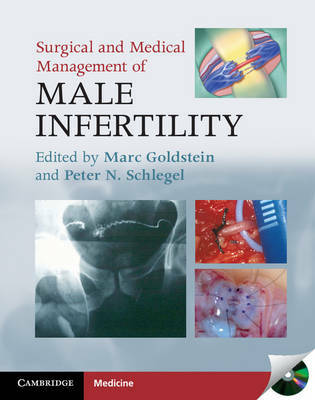 With contributions from world-renowned experts, this comprehensive overview of male infertility covers anatomy, evaluation, treatment and prevention. The elucidation of the molecular genetics underpinning spermatogenesis and the development of new sperm function tests have increased our understanding of male infertility and led to new treatments which are discussed and evaluated. This volume presents the latest scientific developments in a clinically useful and practical format. The book is packaged with a high-quality surgical atlas on CD-ROM. This text will be valuable for urologists and reproductive endocrinologists at all levels.